Teaching physics to young students can mean fun hands-on learning. Much of the concept of balance the children will already understand without even knowing it. This comes from exploring the world around them as young children. They know that if they stack blocks too high or without a good base they will fall. They also probably know that if a friend gets off one end of the teeter-totter the other person will drop to the ground. This lesson will expand students’ knowledge of the subject of balance by doing some fun activities. 1. The students will explore the concepts of balance, counterweight and stability. 2. The students will become familiar with and use the vocabulary as they participate in the activities to balance. Gravity: The invisible force that tries to pull everything down towards the center of the Earth. Center of Gravity: average position of an object’s weight distribution. For example in objects where weight is evenly distributed, like in a baseball, the center of gravity would be in the middle. For objects where the weight is distributed unevenly, like in a hammer, the center of gravity would be closer to the heaviest part of the hammer. Counterbalance: a weight that balances another weight. Stability: firmly fixed, not likely to overturn. Balance: an even distribution of weight that allows a person or object to remain upright and steady. Invite five students to come to the front of the room. Ask them to stand on one foot while the others count how many seconds they remain standing without dropping the other foot. Ask the children, “What were your friends doing?" Elicit a response that uses the word “balance or balancing". Then say, “Does anyone know the name of the force that “pulled" the other foot down? It is called gravity. Gravity is a force that pulls everything down to the Earth. It is a force that we cannot see. When you lift things up you have to pull against gravity. If you drop a pencil, gravity pulls it to Earth." “Today we are going to explore the idea of balance. Balance means that the weight of a person or object is evenly spread out so that the person or object is upright and steady. Your friends weight was not even and that’s why they could not stay that way for long." “Each of you please take your rulers and try to balance it on your index or pointer finger." After everyone has balanced the ruler ask them to describe where or how they had to place the ruler on their fingers to keep it from falling. Try to elicit the response that it was at the halfway point or in the middle of the ruler. Then say, “ At the halfway point of the ruler the weight of it was even on both sides. That’s why it balanced. If you move it a little to one side or the other, the ruler will fall because the heavier side is pulled down by gravity. The middle of the ruler is called the center of gravity. When the weight of an object is even all the way around, like for example in a baseball, the center of gravity is the center of the ball. If the weight is lopsided the center of gravity has to be adjusted. Next try balancing a new pencil. The center of gravity will be slightly different because the eraser on one end adds more weight to one end. So the side without the eraser has to be longer (center of gravity closer to the eraser) to even out the weight. 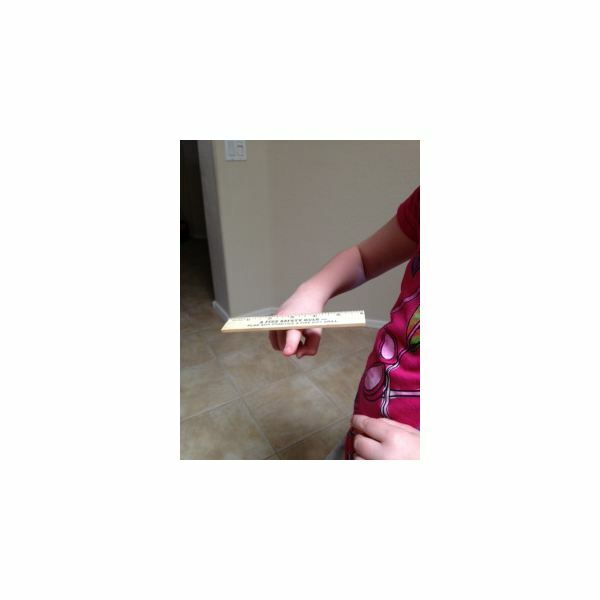 Provide items and/or allow for exploration in the classroom for students to attempt balancing things on their fingers. Continue to use the term “center of gravity" as you observe student activity. After an appropriate amount of time, gather the students together to discuss the findings. Lead the conversation to the discovery that, in objects with uneven distribution of weight, the center of gravity is closer to the heavier part. Ask several students to walk on the balance beam. What do the others notice? Most often the students are holding their arms out for better balance. When the base is narrow or small it is necessary to compensate by holding a pole (like a tightrope walker) or our arms out to lower our center of balance. This makes the center of balance closer to the base. Normally our center of balance is just below the ribcage. Allow other students to try walking on the balance beam. Then use building blocks on a small base to see what happens. Instruct students to fold the scrap paper in half. Draw one half of a design. 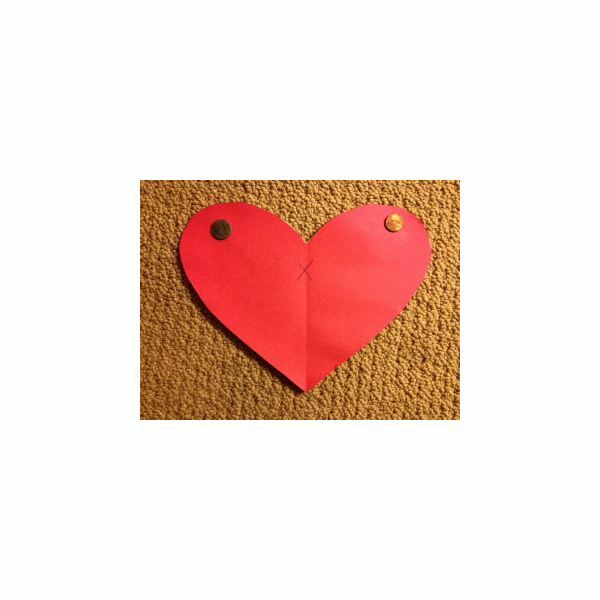 For example it could be a ½ of a heart or butterfly or a person. 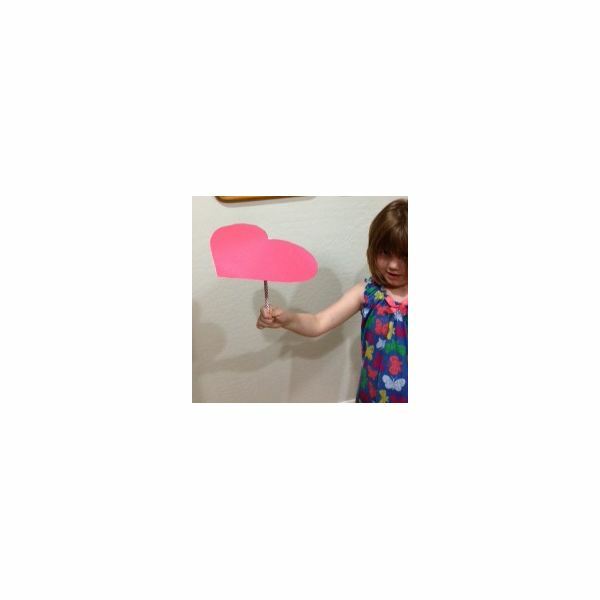 In the example pictured it is a heart. The design must be perfectly symmetrical (both sides exactly even). Keeping the paper folded, cut out the design. Open it up and use it as a pattern to draw on the poster board or thin cardboard. Cut out the design. Tape pennies to each side as shown in the photo. The pennies act as counterweights. Use the eraser end of a pencil to balance the object. It may take a few tries to find the exact spot to find the perfect balance. Hopwood, James. Cool Gravity Activities. ABDO Publishing Company, 2008.